Coolgardie is located 550 kilometres east of Perth, approximately 40 kilometres west of Kalgoorlie, and 187 kilometres north of Norseman. The name Coolgardie is said to be derived from the aboriginal word "Coolcaby", and is said to be a reference to the area's mulga vegetation and gnamma waterholes. Coolgardie owes its existence to the discovery of gold at nearby Fly Flat in September 1892. According to all accounts the 2 prospectors credited with the discovery were Arthur Bayley and William Ford. Reports of the time indicate that on 17 September 1892 Bayley hastily reported the discovery of 554 ounces of gold to J.M. Finnerty, the then resident mining warden at Southern Cross. At the time 554 ounces of gold was worth the stupendous sum of 2200 pounds and in accordance with Western Australian mining regulations, Bailey was offered a "reward claim" covering 20 acres of land at Fly Flat. Bayley's reward claim proved to be a very profitable one indeed, and was continually worked until 1963. During the 70 years of its existence this mining claim recovered over 500,000 ounces of the precious yellow metal. From an historical perspective the Coolgardie gold find proved to be one of immense national significance. During the 1890s eastern Australia was in the grips of a severe depression and fortune seekers flocked to the Coolgardie fields in the hope of a better life. Not all these gold seekers discovered the rich pickings they deserved however, and many died of thirst and water borne diseases such as typhoid. Despite early hardships, within the short space of 10 years Coolgardie's population had mushroomed to 16,000 people. During its early years Coolgardie served very much as a base for exploring the gold bearing potential of the surrounding red desert country. With the assistance of afghan camel drivers, prospectors often probed deep into the desert searching for ever elusive alluvial gold deposits, and quite typically the afghan "cameleers" would charge prospectors the going rate of a shilling a day to carry essential miner's supplies, and this included the daily ration of a gallon of life preserving water. In time many of the more bush savvy gold diggers employed local aboriginal guides to lead them to seasonal water holes - often found at the base of granite formations called gnammas. For the early diggers the quest for water was just as important as the discovery of gold - afterall their life depended on it. Amusingly, with water in such short supply, the more wealthy gold diggers frequently demonstrated their friendship by shouting their mates a bath, in preference to a beer. Today Coolgardie continues its long association with the gold industry, and although no longer a major gold field the town does deserve a special place as the "mother of the Western Australian Goldfields." Coolgardie locals also sometimes affectionately refer to the town as "The Old Camp". When visiting Coolgardie, Nullarbor Net recommends you visit the local tourist bureau which is located on 62 Bayley Street. From the Coolgardie Tourist Bureau visitors can obtain a free copy of the Coolgardie visitor's guide and map. This brochure provides a comprehensive guide to all attractions within the Coolgardie area along with advice concerning accommodation and other services. Coolgardie's tourist bureau also offers a booking service for visitors needing to travel by Westrail, the Indian Pacific Railway, or major bus services linking through to Perth and the eastern states. Qantas flights can also be booked for those of you travelling via Kalgoorlie to Perth or Adelaide. Advice on local road conditions can also be provided should you wish to visit a number of natural attractions such as the Gnarlbine Soaks, Victoria Rocks or Rowle's Lagoon. Coolgardie's Tourist Bureau is open 9 am to 5 pm seven days a week. For further information please telephone (08) 9026 6090 or fax (08) 9036 6008. Coolgardie Motel is located on the corner of Bayley and Hunt Street. Single, double, triple and family units are available with a swimming pool and licensed restaurant for the use of guests. For further information telephone (08) 9026 6080 or fax (08) 9026 6300. Coolgardie Motor Inne is located at the eastern end of Bayley Street. The Coolgardie Motor Inne offers single, double, triple and family units with queen size beds. An on site swimming pool is also available. For further information please contact (08) 9026 6002. Caltex Roadhouse Motel has 8 Motel units located on the corner of Bayley and Jobson Street. Single, double and triple rooms are available. The Caltex Roadhouse operates a 24 hour service. For further information contact (08) 9026 6049. Coolgardie's Denver City Hotel is located on the corner of Bayley and Lefroy Streets. Single and double rooms are available. Restaurant facilities are available. For bookings contact (08) 9026 6031. Coolgardie Caravan Park is located on 99 Bayley Street at the western end of town. chalets, onsite vans, powered sites and tent sites are available. Pets are allowed and the caravan park also hires out metal detectors. For further information please contact (08) 9026 6009. The Haven Caravan Park is located at the western end of Coolgardie on the Great Eastern Highway. Powered sites, onsite vans and camping facilities are available. Pets are permitted on a leash. Further information can be obtained by telephoning (08) 9026 6123. Goldrush Lodge is located on the corner of Bayley and Lefroy streets. The Goldrush Lodge offers budget priced overnight, weekly and long term accommodation. Lock up car parking is also available. For further information please telephone/fax (08) 9026 6446. Coolgardie has a resident population of about 1500 people. Located on the main trunk route linking Perth to the eastern states, Coolgardie generally provides the traveller with a reasonable level of service. Within Coolgardie there are 3 Roadhouses. Caltex has a 24 hour Roadhouse located at the western end of Bayley Street. On the eastern approaches to Coolgardie you will find a Shell Roadhouse open from 6 am to 10 pm, and Nick's Roadhouse and emergency RAC repairs which is open from 4-30 am to 6 pm. Unfortunately Coolgardie does not have any ATM machines or Bank Branches, however EFTPOS facilities are readily available at Moran's General Store and Coolgardie's Roadhouses. Coolgardie's Post Office also acts as an agent for the Commonwealth Bank. Along Bayley Street travellers will find a number of cafes, including the Premier Café and Ivy's café which sell home made cakes and biscuits. Internet facilities are available at the Telecentre located adjacent to Coolgardie's Parklands. 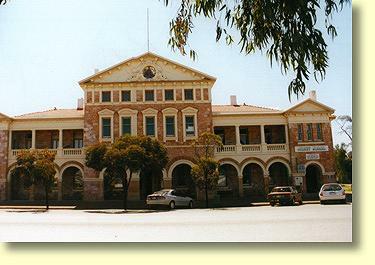 The Goldfields and Coolgardie Museum is located on Bayley Street adjacent to the Coolgardie Tourist Bureau. Housed within the historic Mining Warden's Court Building, this fine museum offers an excellent introduction to the early colourful social history of the Coolgardie Goldfields. Excellent photographic displays depict Coolgardie's early years and the hardships endured on the goldfields. A number of period rooms are on display along with a wide collection of historical memorabilia and aboriginal cultural artefacts. A feature of the collection is the Waghorn bottle and curio collection. Coolgardie's Goldfield's Museum is definitely well worth visiting for an hour or 2 and would particularly appeal to family and school groups. Cost of entry was $3-30 for adults at the end of 2001. Coolgardie's Pharmacy Museum is surprisingly interesting. Said to be one of the best historical pharmaceutical displays in Australia, Coolgardie's pharmacy museum houses an extensive collection of 18th and 19th century medicines. 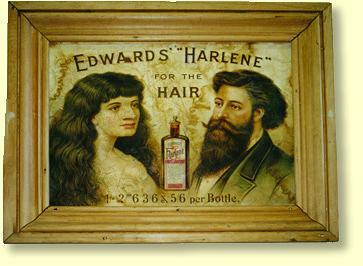 Numerous advertisements and antique tools of the chemists trade or on display. A Coolgardie local named Ronnie Potter manages the museum . Ronnie is certainly one of Coolgardie's characters and he definitely is very knowledgeable about medications and the history of the goldfields. 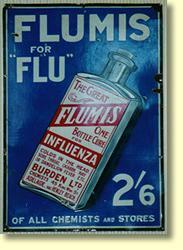 For those of you on prescription medications a short visit to this museum could prove very addictive. Opening hours 7-30 am to 4 pm. Cost of admission $3-30 for adults at the end of 2001. Discounts are offered to seniors and family groups. 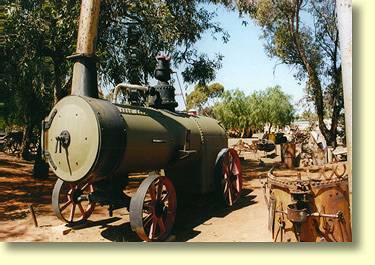 Ben Prior's Park is an open air display of old mining equipment, including mining jigs, drills, antiquated boilers and head frames. For those of you with an interest in vintage mining equipment a short visit might well be of some interest. Entry to Ben Prior Park is free and the display is located on Bayley Street - Coolgardie's main thoroughfare. Coolgardie's development has been intimately linked with camels and the town's wide streets are reputed to have been designed to accommodate turning camel trains. Coolgardie's Camel Farm is located 4 kilometres west of town along the Great Eastern Highway. At the Camel Farm visitors can try their hand at riding camels and overnight camel treks are available by arrangement. For further information contact (08) 9026 6159. Coolgardie's Parklands are located on the western end of Bayley Street. These parklands are well shaded and grassed, with an excellent playground. A number of gas barbecues are available along with undercover seating areas. 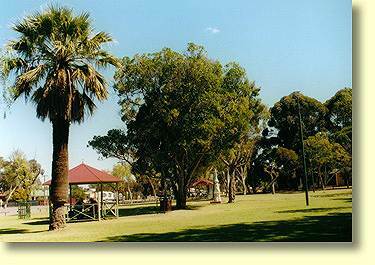 Coolgardie's Parklands offer travellers an excellent picnic spot and place to let the kids stretch their legs. Banjo Patterson is one of Australia's truly great bush poets. Australian's fondly remember Banjo Patterson as the author of Clancy of the Overflow, The Man from Iron Bark, and The Man from Snowy River. Its often forgotten however that Patterson also wrote Australia's unofficial national anthem, Waltzing Matilda. One of Banjo Patterson's lesser known works is "Shouting for a Camel." Written in 1895 this humorous verse captures the spirit of Coolgardie's Goldrush; and the eternal three-way battle between savvy gold speculators, wiley Afghan camel drivers, and their equally usurious beasts of burden - camels of course! And the miners muttered softly, "Yes he's very dry indeed! But he's cheap, very cheap, as dromedaries go." Long distance travellers can obtain regularly updated fuel prices for petrol, diesel and LPG by viewing Western Australia's Fuel Watch site. This site has excellent coverage of WA's goldfields. Also worth a good look is ExplorOz's WA Fuel prices page. Likewise if you are heading to South Australia, ExplorOz's SA fuel prices page is the best on the Net.